qrd°by was launched in 2011. Are QR Codes for free? Yes. The word QR Code (QR = Quick Response) itself is a registered trademark of Denso Wave Incorporated but QR Codes are free to use. The QR Codes you create on our side can be used free of charge and commercially. When you register a free account, you can manage up to 1 QR Codes in your account. If you need a larger volume of QR codes, look at our product overview page. Do my QR Codes expire? No. Once you have created a QR Code in your free account it will never expire, except you will delete the QR Code yourself or the target URL is redirecting you to an expired website. Our broken link checker will always keep you informed if your QR Codes are working. After the evaluation period on one of our paid subscription plans, your account will be deactivated and therefore your QR Codes will stop working if you do not subscribe. However, once subscribed your QR Codes will not expire if you have been a customer for at least one year and if you have no pending invoices. What is a static QR Code? You cannot change the target URL once you have printed the QR Code! So, if the target URL is broken or not reachable the QR Code will not work anymore. Therefore, we strongly recommend you use dynamic QR Codes. Learn more about the difference between a static and dynamic QR Code. What is the minimum size of a QR Code? This really depends where you want to print the QR Code on. Please read more about the Minimum Size of a QR Code. Is there a possibility to include a video (e.g. from YouTube) in a QR Code? Yes, you can! Simple redirect to a video URL in a QR Code and a user can watch the video on his mobile phone right after scanning the QR Code. My QR Code does not work anymore. Please help! Did you delete the QR Code yourself? Then this will help you How do I restore a deleted QR Code? How do I restore a deleted QR Code? If you did not print out your QR Code yet, just create a new one with your previous target URL. If your QR Code is already public, please decode the QR Code and create a new QR Code with that same Vanity URL. Help! My QR Code has been hijacked! How is this possible? If you create a dynamic QR Code on our platform nobody can change the target URL except you or anyone who has access to your account. We do use SSL for secure communication so it is very unlikely some intercepts your session. There is a much higher chance that the website of where your QR Code leads to has been compromised. What is an offline QR Code? An offline QR Code is a QR Code where all information is encoded in the code itself and no Internet connection is necessary. One big disadvantage of offline QR Codes is that once they are printed their content cannot be changed in comparison to dynamic QR Codes. Read more about offline QR Codes. Can I change the URL in my QR Code? If you created a dynamic QR Code you can change the target URL anytime. The QR Code stays the same and you don't have to print the QR Code again. Read more about dynamic QR Codes. How does a shortened (=custom or vanity) URL in a QR Code work? If you create a QR Code you can shorten the URL, so less characters must be encoded in the QR Code. Thus the QR Codes is smaller in size and you need less space when you print the QR Code. The shortened URL in the QR Code is also called a custom URL or vanity URL. Please note, that you can not change the shortened URL after creation. You will need to create a new QR Code with a different shortened URL. I created a QR code in the past to use in print media. How do I decode the URL of the QR Code and how do I find out if it is dynamic or static QR Code? Can I brand my QR Code with my own logo? How do I create a transparent QR Code? Please click on the options next to the QR Code and then on Design QR. Now click on the right transparent QR Code icon. Transparent QR Codes are only available in paid subscriptions. I want to print a QR Code on a big poster. Do you have QR Codes in a high resolution? Yes. All QR Codes can be downloaded in a scale able vector format as .eps,.svg or .pdf image. I have two QR Codes with the same URL encoded, but they look different. Why? What QR Code Scanner do you recommend? How do I scan a QR code using the same mobile that is appearing on without having need to use another mobile phone or scanner? Here is an example how to make a screenshot with an iOS device and how to decode the QR Code by just simply click on the image icon at the top and select the screenshot from the image library. 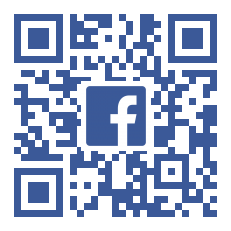 I created a Facebook QR Code, but it does not redirect me to the Facebook page. Why? If you scan a QR code and the internal browser of the QR Code Reader App is called, the internal browser may not be able to switch to the Facebook app. Try to scan the QR Code with our reference QR Code Reader App. The other possibility is that you have entered a wrong Facebook URL when you created the Facebook QR Code. Check if the URL really redirects to your Facebook page. Your current version of your Facebook App does not support mobile deep linking. You can find this out by scanning the following reference QR Code, you should be redirected to the Facebook Fan Page of qrd.by directly. If this is not the case, your Facebook App does not support deep linking. Are you referencing to a Facebook Group? If you want to link to a Facebook Group you need the Facebook Group ID first. What is the difference between Unique Visitors and Requests? Unique Visitors is the number of clearly identifiable devices that scanned the QR Code. The number is computed by summing up all unique IP addresses from the devices. The IP addresses are stored anonymously and a scan can never be directly linked with a person. Thus scans are anonymous and GDPR compliant. The number of requests indicates how often the QR Code has been scanned. A QR Code may be scanned 1 or more times by the same person. Therefore, the number of requests is always greater than or equal to the number of unique visitors. Note: If you scan a QR Code from different devices and they are all connected to the same Wifi-network, the number of unique visitors is 1 and will not increase. Can I get the phone number, name or address of the person who scanned the QR Code? For security reasons it is not possible to track the person's phone number or any other details like name or contacts from the address book just by scanning the QR Code. However, you can build a form on your landing page to retrieve personal data of the person who scans the QR Code. See How to generate Leads? If I look at the statistics I see scans and requests from countries where I did not publish the QR Code. How come? A bot from abroad is faking its user agent. Normally we filter out bot requests. However, if a Bot is sending a regular user agent string (like an Apple iPhone does) we cannot distinguish between a real iPhone and the Bot. We are looking up IP addresses to their countries with the database from https://www.maxmind.com. Even they claim there is a 99,8% accuracy on country level, there is a chance that the IP address is assigned to the wrong country and therefore will display you the wrong information. The most accurate results you get, when you enable the GPS tracking function for QR Codes. Another possibility that requests show up from a different country is that the URL might has been shared through Facebook, WhatsApp, WeChat or other social media platforms by the user or the app after scanning. You can have a look on the Referred section of the statistic page for more details. How can I view how many visitors have scanned my QR Code? Using the QR Code Manager lets you manage all your QR Codes at once and you can view scanning statistics including unique visitors, visiting countries, browsers and more. How accurate is the position of where the QR Code has been scanned? First and foremost, the IP address of the smartphone that scanned the QR code is used. This allows the country of origin to be determined with an accuracy of 99%. For each IP address also a position is approximated. The accuracy can range from one to 1000 kilometers. On average the accuracy is about 200 kilometers. If you would like to determine a more precise position, activate the GPS location in the options menu of a QR code. How can I get the GPS position of where a QR Code has been scanned? You can enable GPS tracking of QR Codes by clicking on the GPS icon in the options menu next to a QR Code. Is Geo Targeting with QR Codes supported? Yes. Geo-targeted QR Codes redirect the user to a specific website depending from which country he is scanning the QR Code. This feature is available in the White Label QR Code Manager. I already have a QR Code. Can I integrate it in your system for tracking? If you created a static QR Code, you can NOT integrate it in our system. Create a dynamic QR Code on qrd°by that redirects to the URL of your original QR Code. Then redirect your original QR Code to the shortened URL of the newly created QR Code on qrd°by. The result is a double redirect. If your original QR Code is scanned, the user will be redirect to the shortened URL of the QR Code in our system. There we will track where, when and from which device the QR Code has been scanned before we forward the user to the original URL. How does geotagging work with QR Codes? When I export a .csv file of QR Code scanning statistics to Excel the file is broken up and not very usable. The exported csv file uses a semicolon ; as a column separator. If your Excel uses a comma , as a default separator when opening a csv file, all data will show up in one column. You can overcome this problem by opening Excel, go to the Data menu and click on From Text. Then select your csv file and choose the file type delimited and select the ; as a column separator. What are the benefits of registering a free account? As a registered user you can view and manage all your QR Codes (up to 1) in one place. You can even create mobile websites like business cards and much more. See the feature list for more details. What are the benefits of a paid account? In a paid subscription you have no scan limits (in free accounts 100 scans per day are allowed). You have lots of more features and you can create a much higher amount of QR Codes (up to 500) and 500 landing pages. Look at the feature list to compare the details. What happens when I exceed my daily scan limits. Scan limitations only exist for free accounts. We have a fair use policy for free accounts. But if your daily scans heavily exceed our recommended limit of 100 scans per day, we block your account for security reasons. If this is this case, please get in contact with us. We will use your solution for a big company that they want include the QR codes in the package of the products, so the QR code will have a very long life. Could you share with us some reference or big customer that are using your solution for this kind of QR in the package for long term? We cannot share our customer base with you. However, we are in business since 2011 and have loyal customers from our beginnings until today. We have big names from health, pharmaceutical and building materials, who are using our QR Codes for product packaging. Agencies book our white label platform to provide QR Code solutions to their clients from fashion industry to banking. We provide services to companies with critical infrastructure, such as network operators. Please check our platform health section for more details. No Ads. No Host Hostage. 99,95% Uptime. What media types can I link with QR Codes (Fotos, Images, PDF, Pictures, Videos, Photos,...)? In the media library you can upload pictures or pdf documents and link them directly with a QR Code. 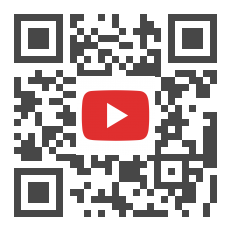 You can also link your QR Code to a YouTube Video. What is a "call to action" button and what can I do with it? Call-2-action buttons may be placed on a landing page to offer a user a specific action that will be triggered when the button is pressed. An example is to show a "Call me" button on a digital business card that allows the user to initiate a call to the owner of the business. Learn more about Call-2-Action Buttons. When I try to save a business card on my phone I get the error message: "Frame load interrupted"
This message may occur if you are scanning a QR Code of a mobile business card with the QR Code Reader Quick Scan from iHandy Inc. The app cannot handle the mime type “text/vcard”. We already send the bug report to iHandy Inc. but did not get any response. Please note you do NOT need a QR Code Reader on iPhones since iOS11. Are mobile landing pages crawl able by bots? Landing pages in the premium version will not be indexed by search engines who respect the noindex, nofollow meta tag. Mobile business cards in the free version are public by default and may be crawled by bots. However, when we see bots crawling a landing page, we do not display or output any email address. Bots who do not respect meta tags or fake their user agents may index your landing pages if your pages are linked from any other public website. However, in the landing pages editor you have the option to hide your mobile business card from search engines. How do I create one-time redeemable vouchers for a coupon that can be redeemed only once? If you register an account with us, you will receive a confirmation e-mail from the sender's address registerqrd.by. You should receive this e-mail within minutes. Please make sure that this address is not blocked by your e-mail provider or the message has been moved to the junk folder. For most e-mail providers, you can also add our sender address or domain to your white list. Have you misspelled your e-mail address? Correct it here. I lost my password. How do I login? At the login page click on the 1-time Login. You will receive an e-mail from the sender's address registerqrd.by. This e-mail will include a 1-time login link. After you have logged into your account using this link please change your password immediately. You should receive this e-mail within minutes. Please make sure that this address is not blocked by your e-mail provider or the message has been moved to the junk folder. If you still do not receive an e-mail from us, contact your system administrator. He can check why the E-mail was not delivered. I have misspelled my e-mail during the registration process. How can I login? I want to terminate my account. How do I delete my account? Please go to your account settings and scroll down to account termination. Then click on 'Terminate Account'. Where do I get help and support? If you subscribe to a Premium or White Label membership, you get up to one hour assistance and support. We are happy to answer questions about the platform. Support services do not include implementation work nor creating mobile websites or QR Codes from our side. You can also give us feedback or request new features in our feature database and you will find more resources and How-To's on our Blog. How can I be sure that in the free account, my QR codes will remain working forever, for free? Our free service is offered on an as-is basis, see our terms of service. We currently have more than 25000 satisfied users on a rock solid platform. Users are always welcome to test our premium solutions, however qrd.by will never charge to the users for the free solution. Our service was launched in 2011, so we have survived the start-up phase and our teething troubles. Today we are a profitable business with organic growth. Will my QR Codes continue to work after the trial period of a Premium Account? The QR codes remain active when subscribing to a premium account. The QR codes remain (if desired) further active when you cancel your membership by at least one year. The prerequisite is that all outstanding invoices have been paid. To subscribe to a premium membership, choose a payment method in your account under the menu item "Payments". The monthly fees are then debited once a quarter or once a year. Do I get a reminder before my account expires? You will receive a reminder 1 week before the trial ends per mail. If you subscribe to a premium membership, you get the invoices via mail every quarter or once a year. Are there limitations in trial mode? If you need to go live or your are ready to sign up, you can go ahead and activate your subscription anytime by entering your company and payment data in the payment section. Don’t worry about doing this before the trial period is over, those first 30 days will not be invoiced even if you activate your account after 1 week of trial. I upgraded to a Premium Account. Can I import my QR Codes from the free Account? Yes, you can! By upgrading to a premium account your own sub domain will be assigned to you (e.g. mycompany.qrd.by). This is a different URL than the QR Codes have in your free account (starting with qrd.by). You can use the migrate function in the bulk section of your premium account to import and manage all QR Codes from your free account in the premium account. all existing dynamic QR Codes from your free account will continue to work. the statistics from the free account will be migrated to the premium account. however, if you have designer QR Codes please make a backup of them. The design will not be imported to the premium account. Can I use the White Label QR Code Manager with an SSL certificate of my own domain (e.g. https://qr.mydomain.com)? Yes. We support SSL certificates from https://letsencrypt.org/ for your custom white label domain. I want to change the domain URL of my White Label Account. Will my existing QR Codes continue to work? Then go to the branding section and set your global production domain. The existing QR Codes for the current user will continue to work. Now create a new user and the QR Codes of the new user will have the global domain encoded by default. I want to change the subdomain of my Premium Account. How? Just go to your account settings in the top right of your account. Scroll down to "Update Subdomain" and set your new desired subdomain. Please use this feature with caution. Changing the subdomain of your account will cause already printed dynamic QR Codes to stop working. I want to upgrade from a Premium Account to a White Label Account. Then go to the branding section and set your global production domain. The existing QR Codes for the premium user will continue to work. Now create a new user and the QR Codes of the new user will have the global domain encoded by default. I want to use your platform in a different language. What languages do you support? We support American Express, VISA or Master Card. After you have authorized your credit card, we automatically charge the monthly fee from your credit card every quarter or on an annual basis. We support wire transfer when you agree to pay your invoices on an annually basis in advance or we implement custom features for you. With this method no discounts can be given. When you choose PayPal as payment option you will need to manually pay your invoices through a given PayPal link. My Credit Card expired. How do I re-activate? If you want to change your card or re-enter your credit card information, go to the payment section and click on "Choose payment method". There you can enter your updated credit card data. Yes. You can select the billing cycle on a quarterly or annual basis. The portal fee will be charged in advance. If you are running a White Label instance, the fee for the created users will be charged in retrospect on the next invoice or when terminating the account. Am I required to pay VAT? As a company in an EU country outside Austria, with a valid VAT number, name and address we can issue you invoices without VAT. All invoices for customers outside the EU are issued without VAT. You can cancel the subscription in your »Account« tab anytime. Once you have purchased one of our products you have the right to withdraw from the contract within 14 days. After that time, we cannot refund you any money on a purchased product. You can test qrd.by WL for 30 days free-of-charge. If you do not enter your payment data in the »Account« section when logged in during the trial, your account will be set inactive after the trial has ended. If you enter your payment data, we will charge the amount due on a quarterly or annual basis and send you an invoice accordingly. If you cancel your subscription, we will not debit from your credit card or send you invoices again after the end of the billing cycle stated on your last invoice. I would like to purchase your platform to host on my own server. What is the price or license costs? We do not sell or license our software to be hosted on third party servers.